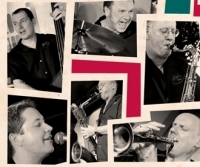 Sentinels Of Rhythm is a highly respected 6 piece band which burst onto the music scene in 2008, performing an intoxicating cocktail of vintage, rhythm & blues and swing music to audiences around the country. The band leader Pete Cook has performed with many of the original giants of 1950’s R&B, as well as modern maestros including Ray Gelato, Mike Sanchez and the fabulous Imelda May. All in all, the Sentinels of Rhythm are proving to be a massive hit on the retro dance scene.